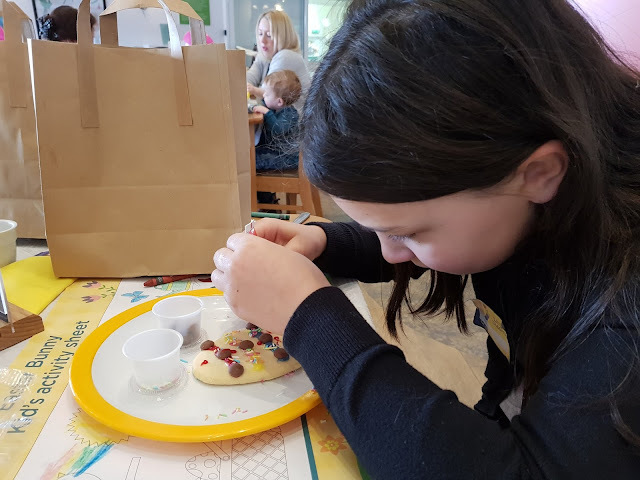 Today Peanut, The Golden Child & The Saurus (unfortunately Termite had to miss it due to having Chicken pox) visited Wyevale Garden Centre in Gosforth to have breakfast with the Easter Bunny. We were greeted in the restaurant by Alice in Wonderland and shown to our table. 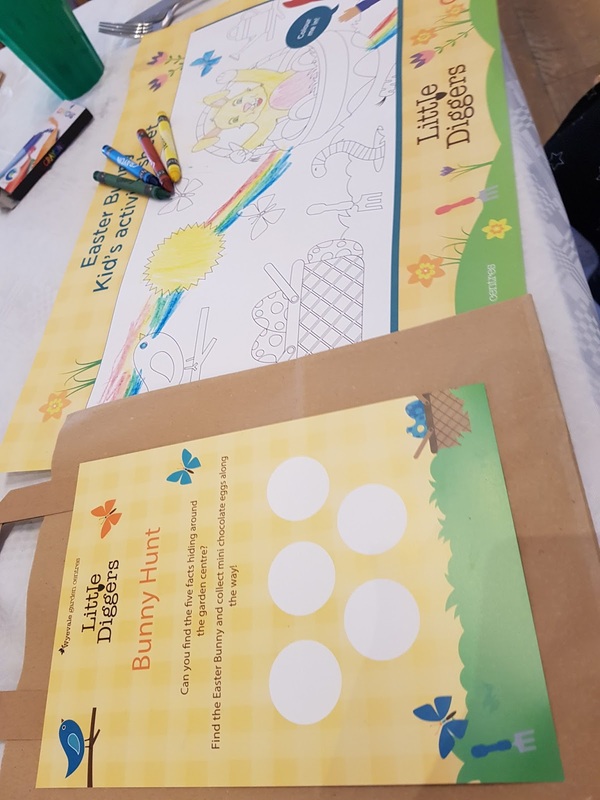 The was a puzzle/colouring sheet, crayons, paper bag and blank Easter trail sticker sheet for each of the children with a name badge. Drinks were brought quickly, unlimited squash for the kids & unlimited tea or filter coffee for adults. The food was a little slow in arriving & the kids were getting a little impatient, but when it arrived was nice & well cooked. We learned more facts too! At each point the kids got a sticker for their sheet and a chocolate egg for the bags. 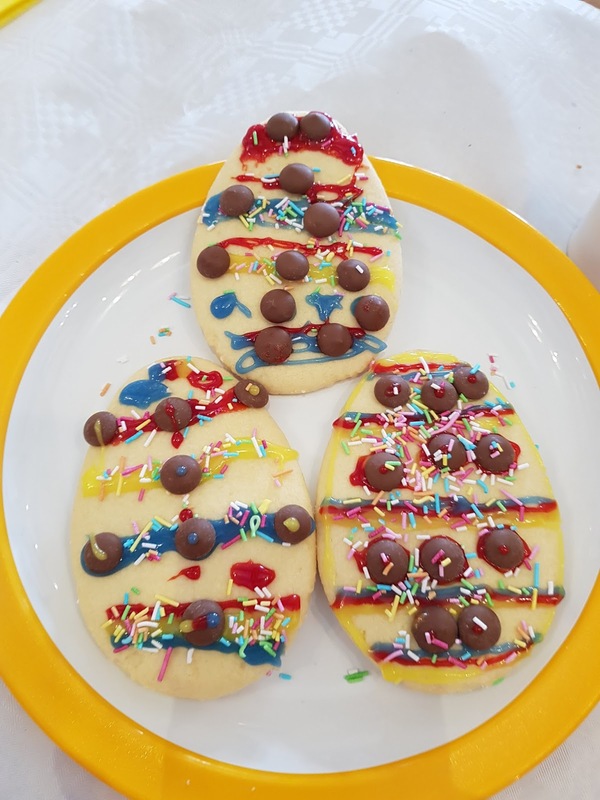 When we got back to the restaurant from our hunt the Easter Bunny said his/her goodbyes and there was a balloon and a cookie to decorate for each child. The 3 monkeys enjoyed making their creations, while also eating the icing and other decorations at the same time! During this time Alice came round with a soft toy for each child - a choice between a rabbit, lamb and pig. 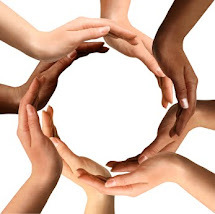 The toys are a nice size and are not cheap looking. 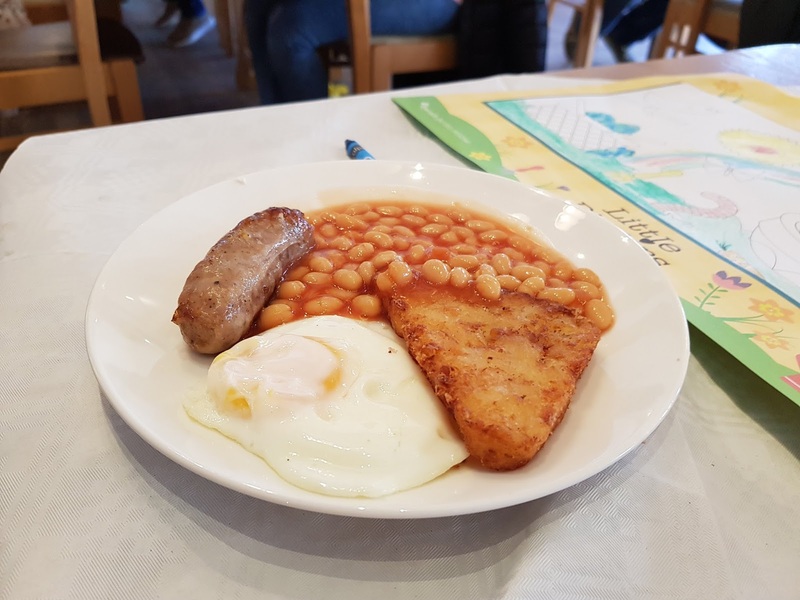 We had a fun morning and consider the tickets good value for money at £10.95 per child with adult breakfast costing £5 for a bacon buttie or pastry with tea and coffee or £8.50 for a full English. The only disappointing part was there was no dedicated time for pictures with the Easter Bunny & Alice - although if you went and asked they did oblige. All 3 monkeys said they enjoyed the morning and were entertained throughout. 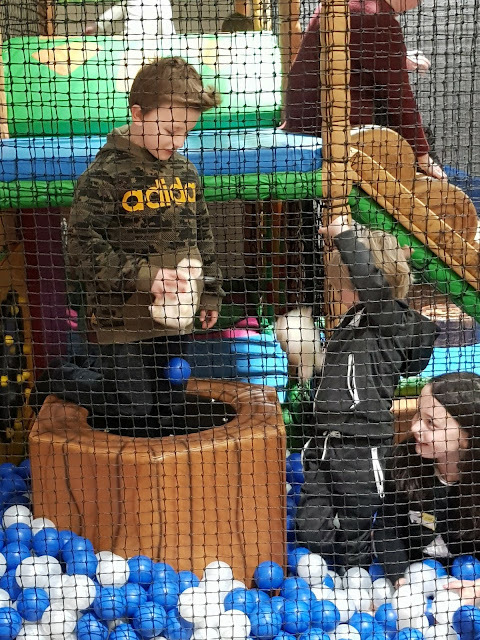 After the event was over the kids were allowed into the soft play free of charge for a little play. 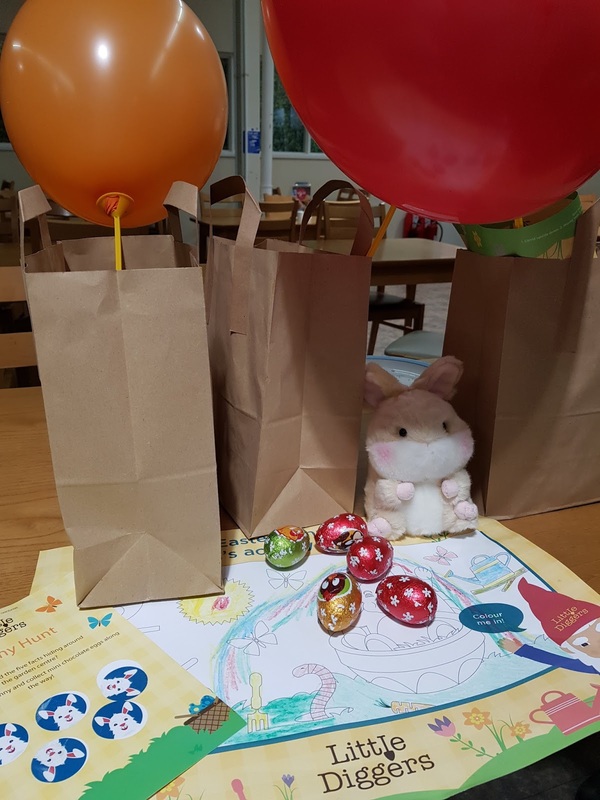 The Easter Bunny was also very kind and sent a soft toy bunny home for Termite since the pox had kept her away from the day. 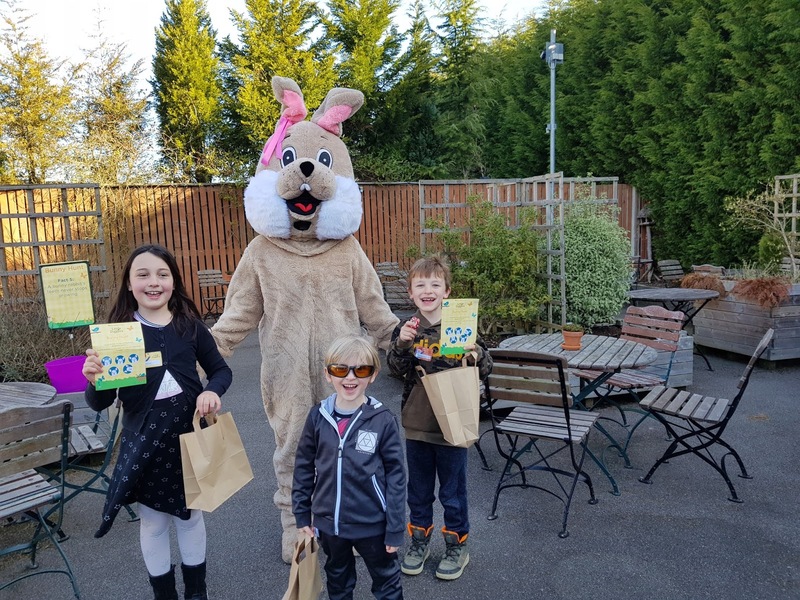 The kids all really enjoyed their day , Peanut w#commented that she would like to be able to go at her own pace for the egg hunt but understood that some of the smaller kids would be too small for running around, plus the clues were around the garden centre not in great big open spaces. You can book tickets on Wyvales Website but I'd hurry some days are already sold out!